This is Day Z. This is your story. Watch some of the best fan-films based on video games from the past five years right here, right now! There may be nearly infinite channels - and more coming all the time - but we're here with some of the best Twitch streams of 2016. I had the chance to interview Puhdado, the rising Twitch streamer, and ask him a few questions about his career. Today we are discussing Early Access, DayZ, H1Z1, CastleminerZ, Assassin's Creed, Ps4 and PC! Serving up justice to sexist assholes in DayZ. This is a round-up of the top sellers on Steam for the week ending July 26, 2014. The actor who plays Carl Grimes in the hit AMC TV series is hooked on eSports. Was his decision to announce a potentially early departure a wise one? But who do survival games like Rust and DayZ appeal to? An Empty Abyss does not improve the larger it gets! Remember E3, and all that's happened since then? Well, does any of it still matter now? 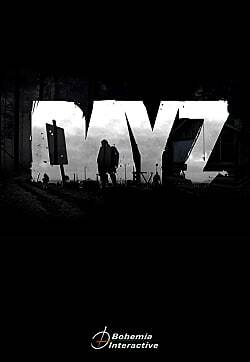 During a Reddit AMA, Dean Hall reveals Jay-Z's lawyers requested they change the name of DayZ. DayZ's standalone game has sold over 1 million copies in just four weeks. Join me for the episodic series: Adventures of The Green Avenger. Chernarus' newest valiant super hero. Finally, the standalone version of DayZ has seen its release, through Steam's Early Access. In case you weren't beat over the head enough by it... the zombie apocalypse is still here. E3 2013 reveals exciting gameplay for the new version of DayZ Stand-Alone! What determines the price of games? No one has reviewed DayZ yet! Played DayZ yet? What did you think?